In 1972 extensive government studies suggested that the people of Britain were in an odd mood. GPs were reporting higher incidences of depression, anxiety and state-sponsored disorders such as omphalophobia and scopophobia. In an attempt to reassure the nervous nation, the government requested that each local council create its own version of the 'Keep Calm and Carry On' slogan, which had been so successful during the Second World War and the tedious stretches that followed it. 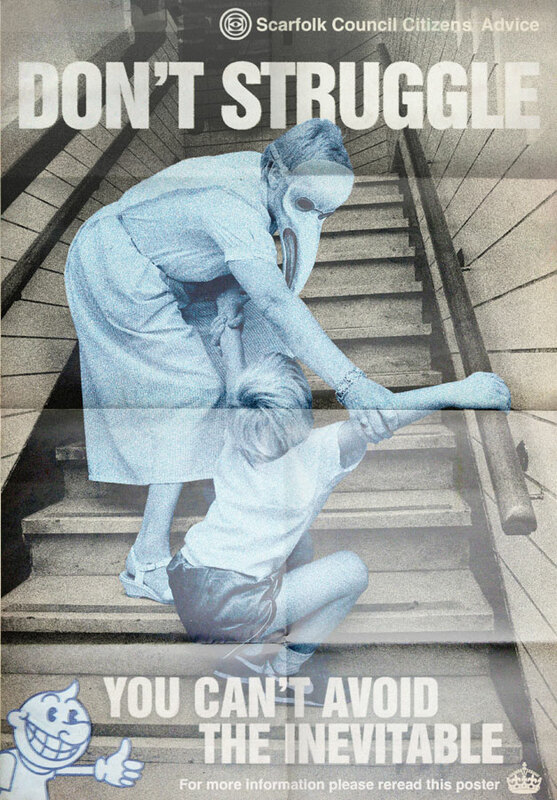 Scarfolk Council came up with the following poster campaign which depicted a kindly nurse gently helping an apprehensive, inadequate child to the 11th floor of Scarfolk's historic Pillywinks Building. No one really knew what happened in the Pillywinks Building; the only indication was a sign beside the front door which stated: 'Butchers and other educators, please use tradesman's entrance'. The campaign also introduced its mascot, Neville Inevitable. Council workers routinely donned two-metre tall Neville costumes and turned up to sing a song to ailing and injured people just before they died. The song featured a loud countdown clock and lyrics that encouraged the dying to relinquish their grip on life as expeditiously as possible to reduce unnecessary strain on the NHS. Rainbow was a popular daytime children's television programme in the 1970s. 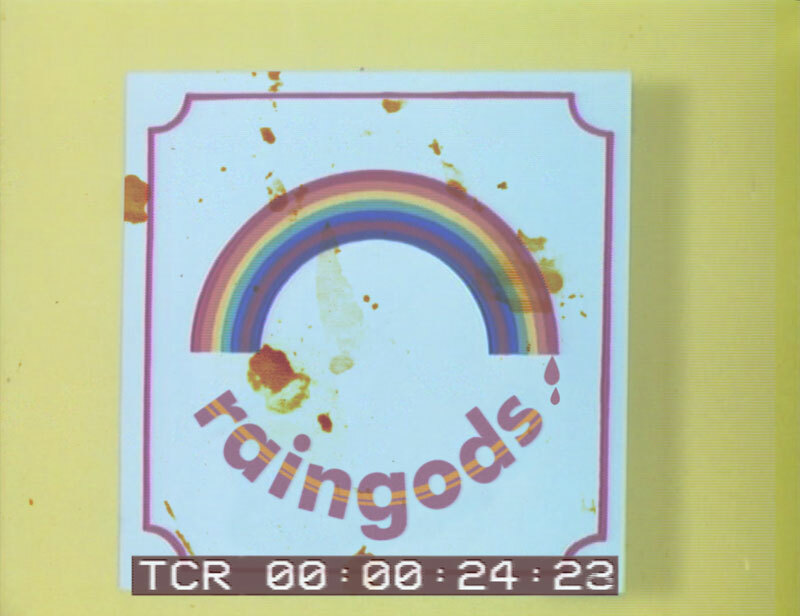 Yet very few people realise that it was originally pitched as an altogether different show called Raingods. Below are the only extant frames from the pilot. Raingods introduced children to a pink, one-eyed, Aztec god of rain, Tlaloc, whose name translates as 'enraged niece of Bruce Forsyth'. Other characters included minor deities such as Tezcatlipocabungle, the bear executioner deity; Zippyloc, god of arrogance and poor dentistry; and Geoffrey the Devil. Ultimately, a full series was not commissioned because it became apparent in the pilot that Tlaloc's fearful cohorts not only had to appease their vengeful god with sweet songs, but they also had to sacrifice live human children in his name. In the first twenty minutes alone, two thousand children perished and the programme's producers received upwards of fourteen complaints from disgruntled parents and sweatshop owners. The programme was soon thereafter redeveloped as the less malevolent Rainbow, Tlaloc was renamed George and the number of child sacrifices was reduced to an acceptable level. 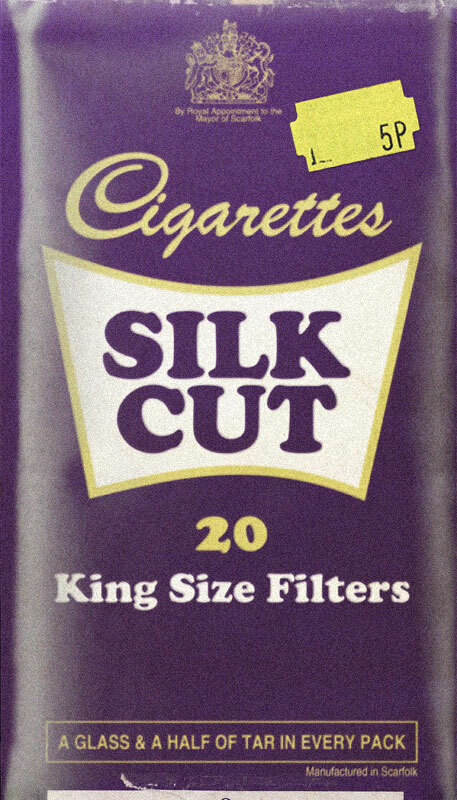 As part of its decade-long Cigaretiquette campaign (see here), Scarfolk council wanted children to start smoking cigarettes, cigars and pipes as young as possible. 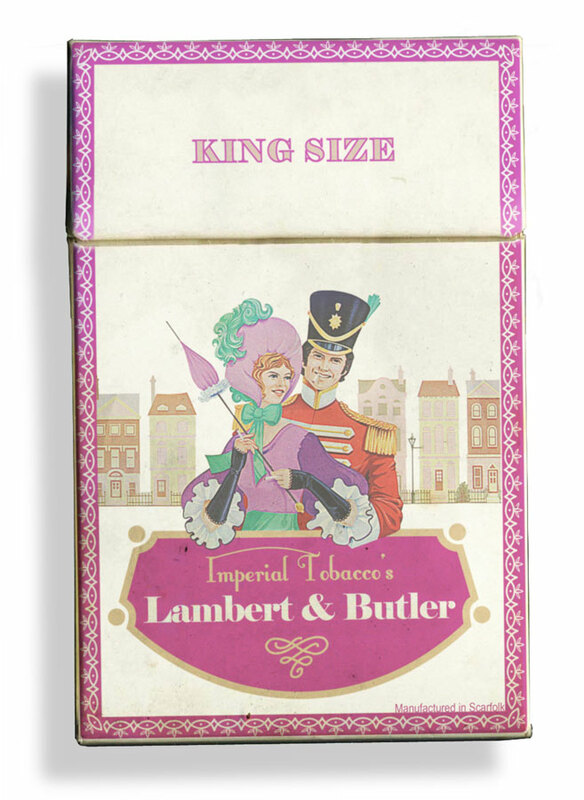 The council's first attempt to sell candy cigarette sticks (sometimes in faux tobacco-branded packaging) hadn't appealed to Scarfolk children and the council was forced to revise its approach. It did so by simply reversing the concept: Real cigarettes were now packaged as familiar, desirable confectionery (see right & below) and then mixed in among genuine chocolates, sweets and other products containing experimental, addictive, psychotropic temperament modifiers. 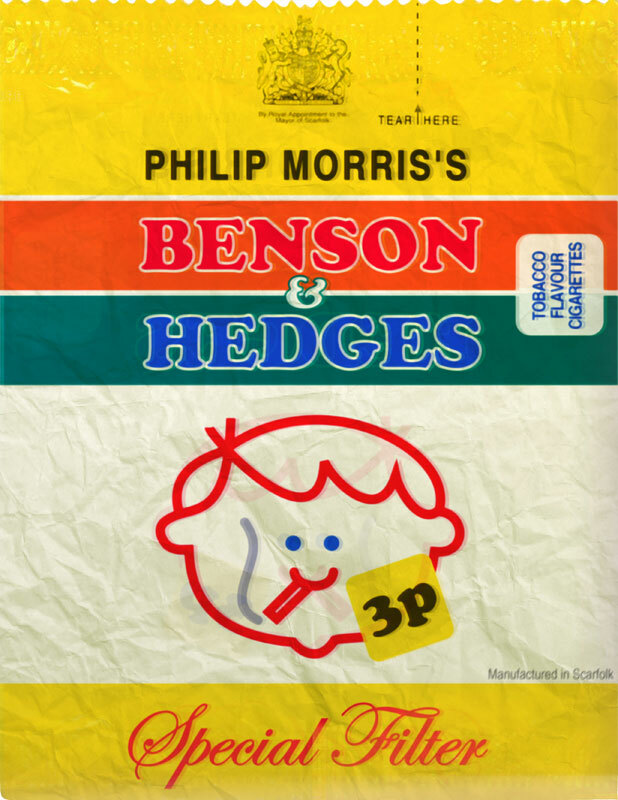 Additionally, the council funded a 1979 big-budget remake of 'Charlie and the Chocolate Factory', renamed 'Toby and the Tobacco Factory'. As in the original, the hero, Toby Bucketkicker, eventually becomes the owner of the tobacco factory, though in the update only after the factory's owner dies of a respiratory illness. In the musical sequel, Toby also goes on to intimidate governments and falsify medical research to feed his own rapacity. Confectionery companies didn't like children cutting down on chocolate. They strongly opposed the substitutions, particularly because, as was later revealed, they had invested heavily in the Cavalier Pharmaceutical Company, which had been stockpiling insulin for several years to raise its value. By the end of the decade, the council's scheme paid off and juvenile smoking was up 68%, generating a huge tax revenue. This post is part one of two about confectionery. By the late 1970s, vaccine injections increased to 9 times daily with 12 on Sundays and public holidays. While children raised in Scarfolk's stationery and office-supply cult looked forward to their inoculations against pernicious diseases such as rabies, tetanus and altruism, heretical children were prone to rebel. Parents had to be cunning and find new ways of ensuring that their children, and the children they had borrowed without permission, honoured their legally-binding medical obligations. 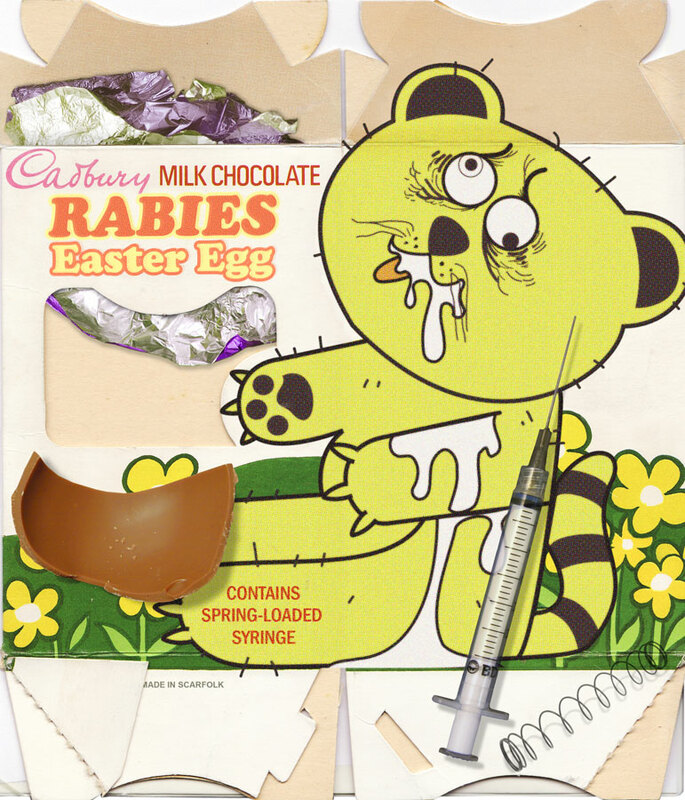 Parents worked closely with the Notional Health Service and confectionery manufacturers to create booby-trapped items, such as ice-creams, Christmas puddings and Easter eggs, as can be seen above. Hidden inside each sugary treat was a spring-loaded hypodermic needle primed to deliver its medicinal load. Unfortunately, the scheme backfired. 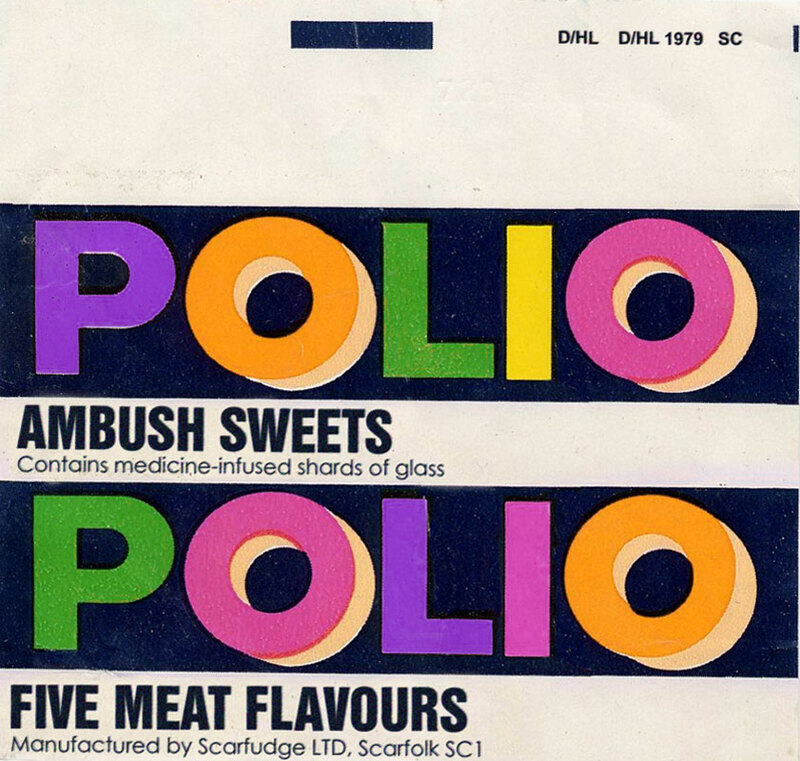 A vaccine works by exposing the patient to a small dose of the virus or disease, but the NHS had not taken into account the greed of children, who were eating so many sweets that they not only developed full-blown diseases such as rabies, but they were also becoming too large to fit comfortably on civic sacrifical altars.